Beijing: More Chinese provinces have cut their annual growth targets in 2019 than the year before, a sign of deepening pessimism among local governments amid weakening domestic demand and an prolonged trade dispute with the United States. The lower regional targets reinforce expectations of a further slowdown in the world’s second-biggest economy this year, after 2018 gross domestic product expanded at its slowest pace in nearly three decades. Of China’s 31 provinces, regions and municipalities, at least 23 cut their economic growth targets for this year, according to provincial announcements this month. In 2018, 17 provinces set lower targets. Shandong, China’s third-richest province, has yet to announce its 2019 target. Five provinces — Sichuan, Hebei, Guizhou, Gansu and Hainan — kept their targets unchanged from last year. That compares with 12 provinces that maintained their targets in 2018. Only one province — Hubei — raised its target, encouraged by an emerging high-tech manufacturing sector. “The new provincial targets reflect the challenges faced by China. Export-driven coastal areas are facing the risk of lower growth amid uncertainty from the US-China trade war,” said Tommy Xie, China economist at OCBC Bank in Singapore. “Western China will remain the key source of growth due to the rise of consumption and services,” Xie said. The downward revisions also imply China will set a lower national growth target this year, probably in the 6-6.5 per cent range, he added. Growth cooled to 6.6 per cent last year, the slowest pace since 1990, as a multi-year campaign to curb risky lending practices squeezed access to corporate financing, particularly for private firms. A longer-term effort to rein in polluting and low-value industries also hurt factory output. Moreover, China’s vast services sector has lost steam, while an increasingly cautious consumer outlook dulled retail sales. A recent Reuters visit to three once-thriving towns in Dongguan in Guangdong province showed clear signs of a slowdown. Scores of shops and restaurants were shuttered, some factories idled and many up for rent. 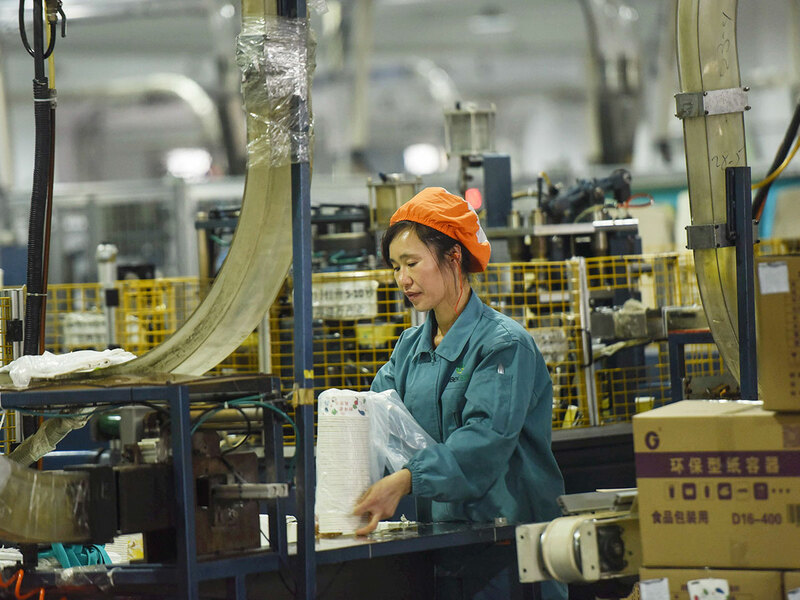 “Some provinces in southern China exposed to exports could feel a bigger impact from the trade war this year,” said Yu Pingkang, chief economist at Changjiang Pension Insurance Co in Shanghai. Chinese and US officials are meeting in Washington this week seeking to end their bruising trade dispute, though sources say they are still far apart on some issues. US Treasury Secretary Steven Mnuchin said on Monday the United States expects significant progress in the talks, but the two sides will be tackling “complicated issues”, including how to enforce any deal. At the meeting, the government is expected to unveil a lower annual GDP growth target of 6-6.5 per cent, policy sources previously told Reuters. The government last year set a target of around 6.5 per cent. Chongqing was the worst — missing its target by 2.5 percentage points. Local officials said the municipality, which accounted for 2.3 per cent of China’s $13 trillion (Dh47.74 trillion) economy last year, was weighed down by an ongoing restructuring of its industries.